The Centers for Disease Control and Prevention (CDC) is reminding people to protect themselves against the flu and that it’s not too late to be vaccinated. The CDC recommends that flu vaccination efforts continue throughout the flu season. While the CDC recommends getting vaccinated by the end of October, so that people are more likely to be protected against the flu when activity picks up in your community, vaccination into December and beyond can be beneficial during most flu seasons, including this one. There is a vaccine that can help reduce the risk of flu and its potentially serious complications. 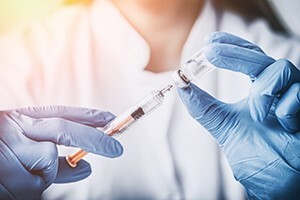 While the vaccine varies in how well it works, there are many studies that show that flu vaccination reduces flu illnesses, doctor visits, and missed work and school due to flu, as well as prevents flu-related hospitalizations. A 2017 study showed that flu vaccination reduced deaths, intensive care unit (ICU) admissions, ICU length of stay, and overall duration of hospitalization among hospitalized flu patients. The CDC estimates that during the 2016-2017 flu season, the flu vaccine prevented approximately 5.3 million flu illnesses, 2.6 million flu-related medical visits and 85,000 flu-associated hospitalizations. However, fewer than half of the people in the United States reported getting a flu vaccine during that season, leaving millions of people unprotected. The CDC estimates that if just 5% more of the population had gotten vaccinated during the 2016-2017 flu season, an additional 504,000 illnesses, 233,000 doctor’s visits, and 6,000 hospitalizations would have been prevented. “Getting the flu vaccine is simple, and it’s the most important thing you can do to protect yourself and your family from the flu,” says Dr. Jernigan.